What’s bright pink, squishy, three-feet in diameter and hasn’t been seen in the Adriatic Sea since 1945? Drymonema dalmatinum! This brilliantly hued jellyfish, sighted by divers off the coast of Italy in early August, remains mysterious even to marine biologists due to its rarity. They don’t even know how strongly they sting! 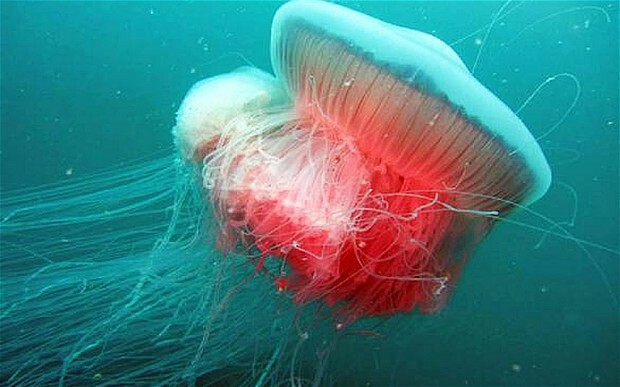 The scientific name comes from the Dalmatian coast where the jellyfish was first found by naturalist Ernst Haeckel in 1880’s. PHOTOsynthesis PHOTOgraphed in Real Time!